Strawberries, rubbing alcohol, salt and detergent… the ingredients for an interesting cocktail? Or a DNA experiment? 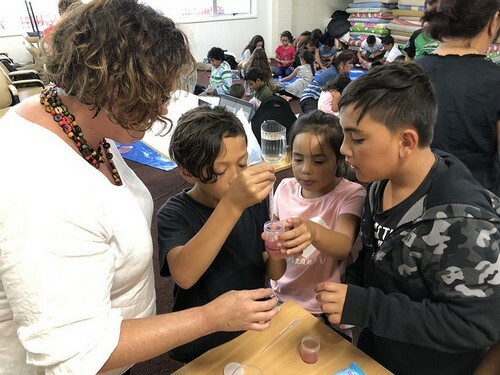 Armed with a bag of frozen strawberries, Emily Telfer, aka Whāea Emily, showed 80 tamariki from Te Rangihakahaka Centre for Science and Technology how to extract DNA using common household items. Te Rangihakahaka is the new partnership kura run by Te Taumata o Ngāti Whakaue Iho-Ake (Te Taumata) in Rotorua. They’re the first ‘school’ in Aotearoa to combine a focus on science and technology with identity, language and culture in this way. Their theme for term one is whakapapa and DNA. 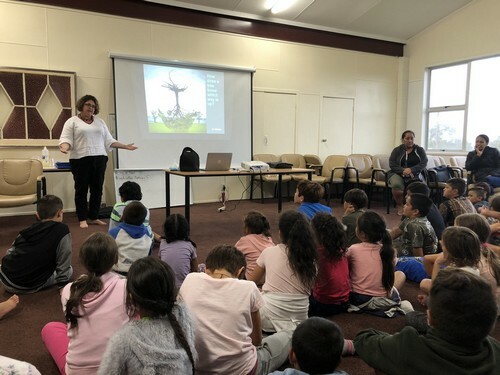 Te Rangihakahaka principal Renee Gilles says that students will be engaged in a hands-on style of working with people who are working in the field – like Emily. 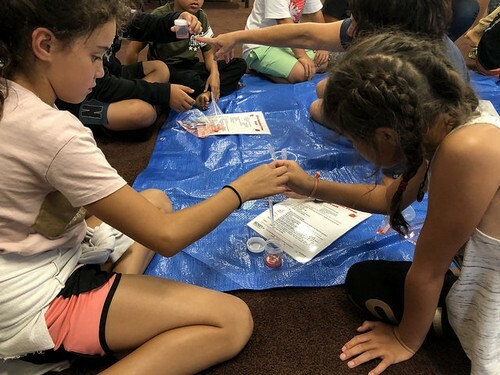 Emily worked with their teaching team to develop the kaupapa for the term and to run the strawberry DNA extraction at the first wananga at Para te Hoata (Tunohopu) Marae in Ohinemutu, Rotorua. After their first week at Para te Hoata (Tunohopu), students will return to their classrooms where the hands-on style of learning will continue. The theme for term two is Ara Ahi, focusing on the geothermal landscape around Rotorua.